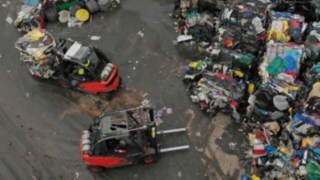 It is extremely important for Linde to know its customers and their product evaluation as closely as possible. Personal customer contact with sales and service staff, for example, as well as feedback via the service hotline or by e-mail are helpful here. However, these feedback usually only show a small and therefore not really meaningful section of the actual mood and the comparison to the competition is missing. This makes it all the more helpful to conduct a systematic survey, as carried out by the trade journal MM Logistik in the summer of 2017. 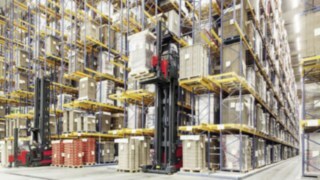 The "Industrial trucks sector check" is a study to test and compare the awareness and attractiveness of material handling equipment manufacturers. Linde is a leader in almost all evaluation criteria and clearly sets itself apart from the average. Most respondents (around 39 percent) responded to the open, i. e. unfounded question "Which manufacturer would be their first choice if you purchased industrial trucks?" Linde was also able to score accordingly in the individual evaluations. 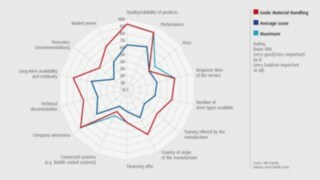 For example, most respondents rated Linde as very good or good (approximately 94%) on the subject of "quality/reliability of products". In addition, Linde also leads in the areas of "efficiency" (approx. 89 percent) and "long-term availability/continuity" (approx. 80 percent). The high quality, performance and availability of Linde products are therefore perceived by the users and appreciated accordingly. According to the respondents, these aspects are also among the most important aspects when it comes to assessing industrial trucks. 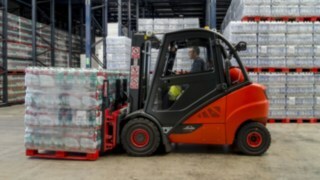 As far as the "training offered by the manufacturer" is concerned, around 54 percent of the participants rated Linde's product range as very good or good - and thus more than any other brand. This value also corresponds exactly to the importance that was attributed to this topic, i. e. also about 54 percent consider the training courses to be very important or important. The survey also addressed many other aspects. The chart shows that Linde occupies a leading position among respondents in almost all subject areas. 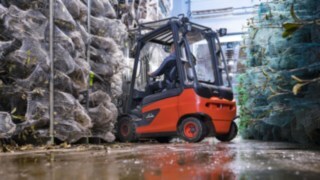 This survey is a great confirmation and at the same time a great incentive for all Linde Material Handling employees. The survey also allowed for some interesting observations. For example, respondents consider "service response time" to be more important than price. While the response time of around 96 percent was classified as important or very important, this is only about 78 percent of the price. Linde is also ahead of the pack in terms of reaction time with 71 percent. This shows that service is an important component of customer satisfaction. Serkan Bozlu, Senior Director Market Research & Competitive Intelligence at Linde Material Handling, is very pleased with the positive results of the survey: "This survey is a great confirmation and at the same time a great incentive for all employees of Linde Material Handling. Satisfied and loyal customers are simply the greatest praise you can get. That does not mean, of course, that we should rest on our laurels. The market for industrial trucks has gained momentum primarily through automation and digitization. We must therefore continue to listen carefully to our customers in the future in order to remain as close to their needs as possible." Only people who have actually worked with the products of the individual manufacturers and do not judge the products by "hearsay" were interviewed. The invitation to the survey took place in many ways, for example via newsletters, on the MM Logistik homepage and via social media channels. In order to exclude possible manipulations, MM Logistik systematically filtered out answers from employees of the manufacturers or multiple participations. At the end of the evaluation, a meaningful assessment was then made by more than 300 users, including those from the mechanical engineering sector (approx. 20 percent), transport and logistics service providers (approx. 17 percent), as well as from logistics-intensive sectors such as automotive engineering (5 percent) and metalworking (approx. 4 percent). As far as positions in the company are concerned, the respondents consist of managers such as department heads (approximately 27 percent) as well as experts and specialists (approximately 26 percent). In addition to the questions about your own company and the person, the focus was on questions about the individual manufacturers. 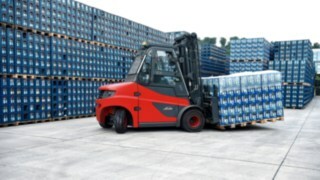 In addition to Linde, this included some of its direct competitors such as Jungheinrich, Still and Toyota Material Handling.